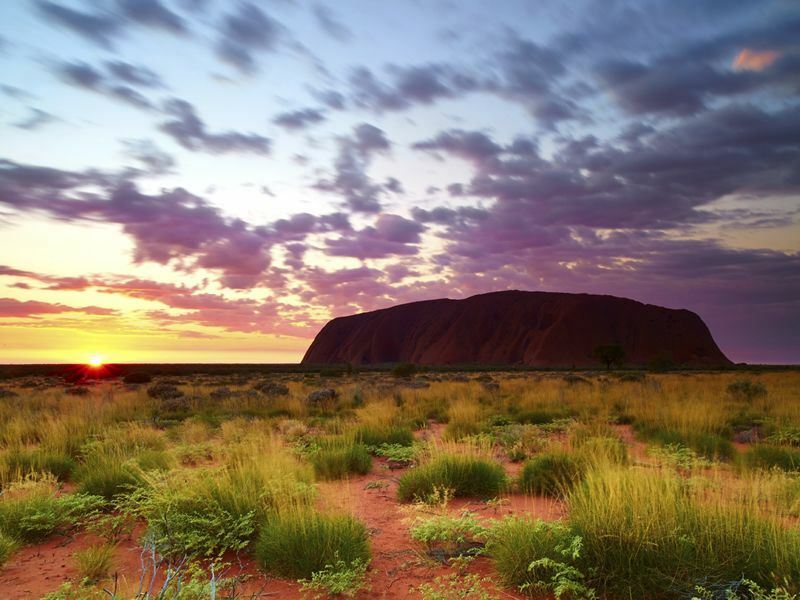 Why Visit Uluru (Ayers Rock)? When you think of Australia, a couple of iconic images will pop into your head. Of course there’s the Sydney Harbour Bridge and there’s also the Opera House. But there’s one more place that people around the world know to be classically Australian. 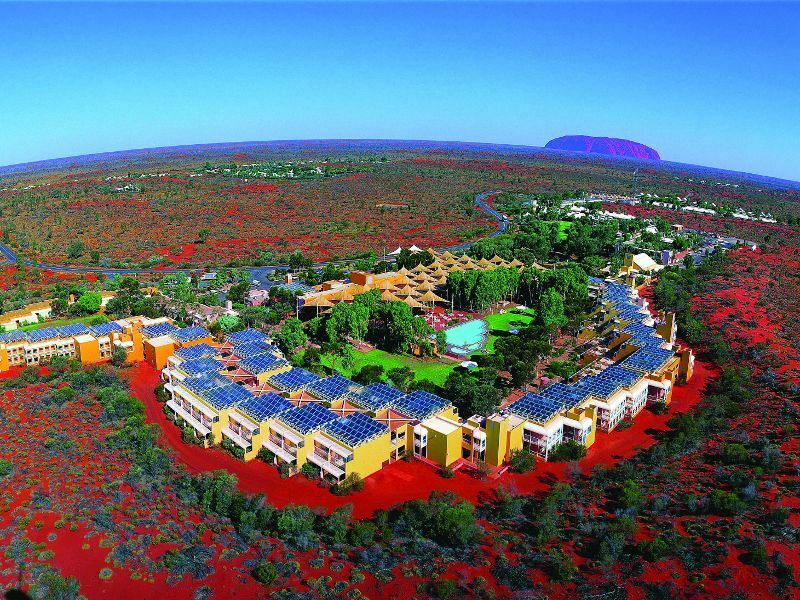 Just looking at it’s picture invokes images of red desert, colour soaked sunsets, aboriginal traditions and the famous and slightly disturbing phrase “A dingo stole my baby.” We are of course talking about Ayers Rock – known to the traditional owners as Uluru. Ayers Rock is a sandstone formation that stands 348 metres high (1,142 feet) and has most of it’s bulk lying underground so it’s true size is hard to gauge. The circumference is 9.4 km (5.8 miles) in distance. On 26 October 1985 the Australian government returned ownership of Uluru to the Pitjantjatara tribe and it was leased back to the National Parks and Wildlife agency with a 99 year lease. Uluru is listed as a UNESCO World Heritage site. “But it’s just a rock” we've heard people say. “What’s so special about that?” Sure, it is just a rock. But its a rock so spectacular that it is worth travelling into the harsh, arid desert in the centre of Australia just to get a glimpse of it’s beauty. It’s a common misconception that Uluru is at Alice Springs, but it’s not. You need to travel further into the remoteness of Central Australia. You can either fly from Alice Springs or drive the 467 km but whichever way you come there’s no escaping the feeling of seeing Uluru for the first time. It shoots up from seemingly nowhere, the vast desert and horizon are it’s only surroundings. The Desert Gardens Hotel is pretty much the only option for accommodation but it provides everything from premium hotels to camping. Once you have settled into your accommodation and adjusted to the dry heat of the outback, the desert is yours to explore. Whilst climbing the rock is now strongly discouraged, there are so many other ways to enjoy Uluru. You have the choice of scenic flights, 4WD tours, dining under the stars, bush tucker tours with local aboriginal guides and motorbike tours. But one absolute must do experience is watching the desert awaken as the sun rises over the rock. The intense reds of the desert are accentuated as the sun comes up. There are several options available for this experience. If you wanted to watch the sunrise without an organised tour then you could make your way to one of the several viewing platforms. These platforms are landscaped into the sand and they offer panoramic views of both Ayers Rock and The Olga’s (Kata Tjuta). A new platform has just been installed which offers a different perspective of the rock. 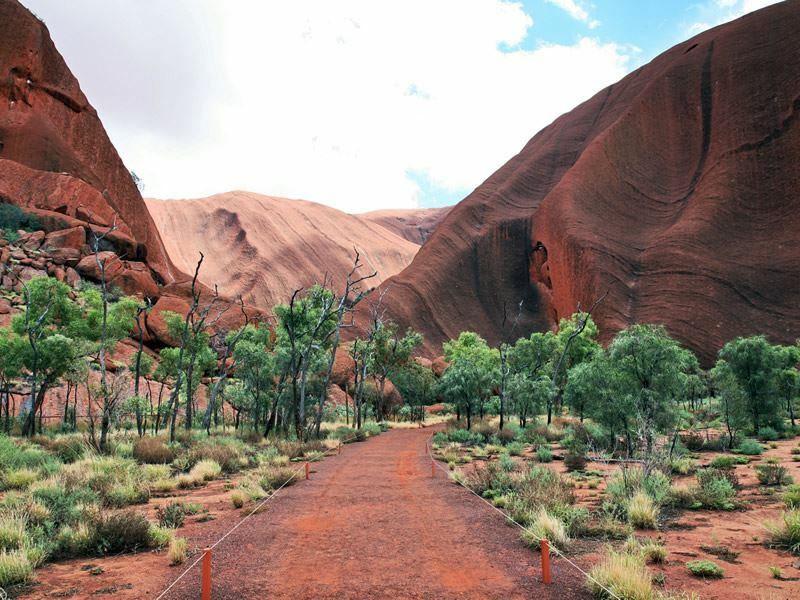 It’s situated 3 km from Uluru and has traditional shade shelters along with 1600 meters of walking tracks and pathways. If you were wanting to get more out of your sunrise experience then perhaps a tour is better suited. Why not join a 4WD tour where your day starts with a traditional Australian breakfast and then watch both Uluru and Kata Tjuta light up as the sun touches these magnificent formations. Keep an eye out for track marks in the sand and speculate about the creatures that made these at night while you were sleeping soundly. Then spend the rest of the day driving around the base, visiting waterholes and observing traditional aboriginal rock art that seems as old as time itself. But if simply watching the sunrise isn’t exciting enough for you then perhaps you might want to do it whilst riding a single humped dromedary camel through the desert. Camels were imported during the nineteenth century and were used as a principal means of outback transportation. It is estimated that there are 200,000 of these camels in the wild in Central Australia. So why not climb aboard one and wonder through the outback watching the desert come alive for the day. Now since you’ve gone and gotten up so early why not spend the rest of the day exploring your surroundings. Perhaps a trip to Kata Tjuta is in order where you can climb through the massive red boulders for some stunning views. Or if the desert heat is getting too much for you but you still want to see everything, then jump into a helicopter and get a completely different view of the rock. There is also a multitude of free activities available from garden walks, markets and cultural dancers to trying your hand at spear and boomerang throwing. Whatever way you decide to enjoy Australia’s outback you can be sure that it is a unique, once in a lifetime experience. The sheer size and deep ever changing colours of Ayers Rock is something that will stay with you for a long time after you’ve brushed the red desert sand from your shoes.